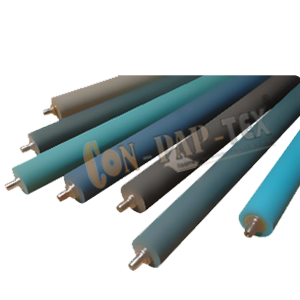 Conpaptexrollers, manufacturer of Printing Roller with high on quality and durability, these rollers complies to the laid industry standards. Furthermore, we also customized these rollers as per the specific requirements of the clients. Superior Rubber Roller manufacturer, Industrial Roller, Printing Rubber Rollers for Flexible Packaging, Paper, Textile Industries per material Rubber Roller Manufacturer. Rollers are the basic and primary accessory for web process control. Even surface, appropriate material of coating according to the application, uniform hardness over the surface, along with precision workmanship play vital roll in the performance of the rubber roller.